My latest design idea evolved from my “amoeba” design. I’ve decided it looks like pebbles falling through water, the biggest and heaviest settling first, followed by the smaller ones on top. I’m gonna keep rockin’ and rollin’ with it, because I’m getting a good vibe. Yeah, I know it’s not botanically inspired at all, but for now it feels like a solid design idea that I’m visually attracted to. No, it won’t be the end of my botanicals, but it is a good chapter for my ceramic work. 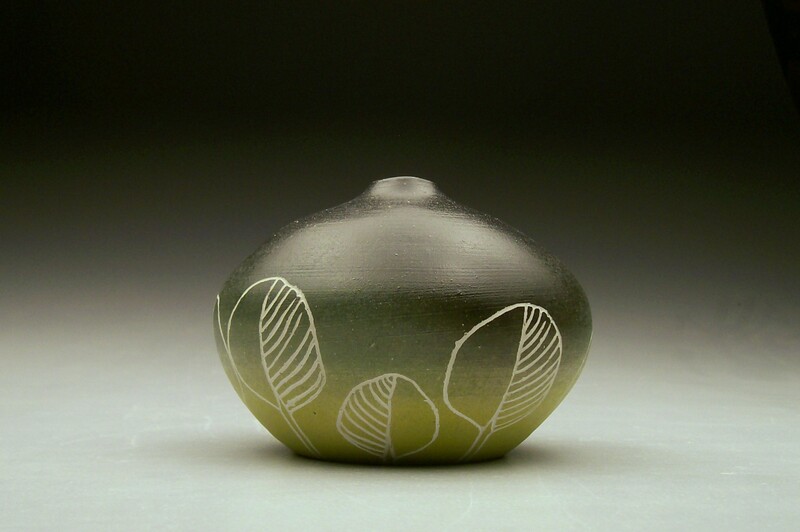 In other news, I’ve added a few new things to my Etsy shop today, one of which is this bud vase. Shop on Etsy for the holidays and support handmade! You can find this vase at https://www.etsy.com/listing/211528799/green-blue-black-fade-eucalyptus-leaves?ref=shop_home_active_1 along with a bunch of other classy pots for sale! 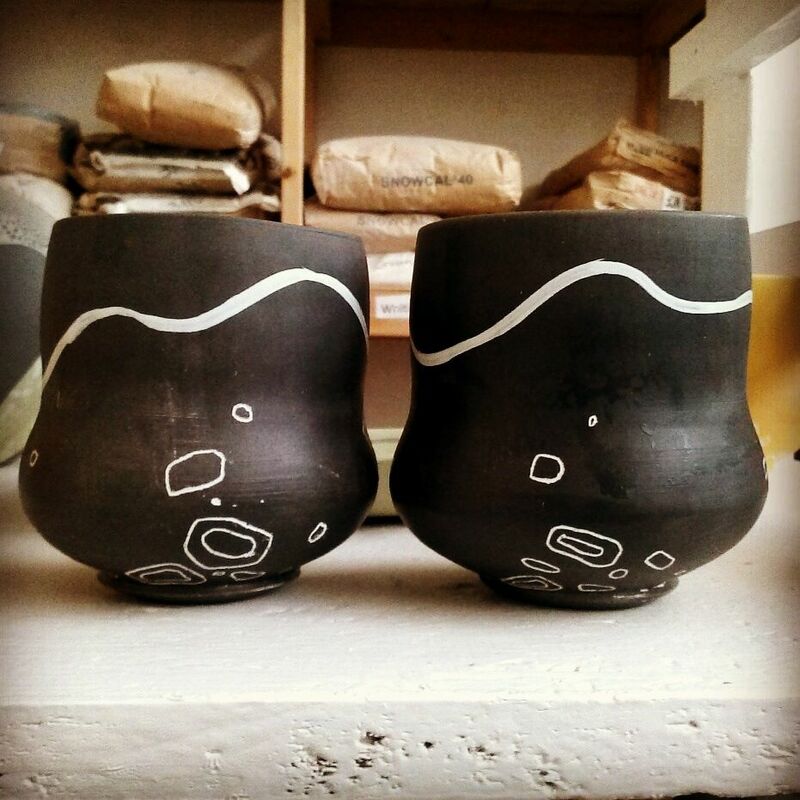 This entry was posted in Art, Ceramics, Design, Uncategorized and tagged bud vase, ceramic art, ceramics, cups, design, drawing, Kira Call Ceramics. Bookmark the permalink.